Pinterest is one of the coolest social networks I am hanging out at. It is so addictive! I use it to source upcycling ideas for this blog as well! 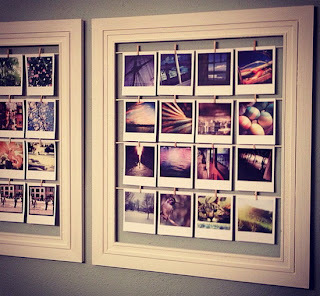 A few days ago I came this beautiful article listing some of the coolest DIY projects found on Pinterest. How cool is that?! 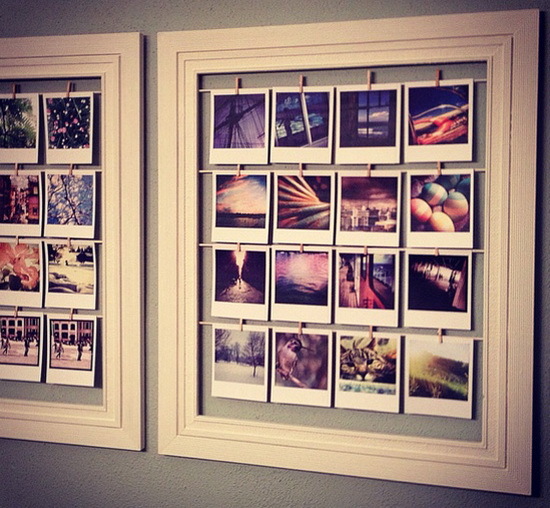 Hipstagram Wall! I love it! Whether you live in an apartment and have no yard space or are just enchanted with the idea of growing a bit of food in your own kitchen or on your porch, creating a kitchen garden can be fun and rewarding. There are, of course, a host of kitchen garden pots, planters and other tools available for purchase, but why not create your kitchen garden using upcycled materials? What better way is there to be kind to the environment while enjoying home-grown food straight from your own kitchen? A number of plants are suitable for a kitchen garden, but it is important to take into account root depth, sunlight requirements and more. Below are a few suggestions of plants worthy of consideration for your kitchen garden. Strawberries: Nothing quite beats the romance of picking plump, red berries off your own personal plants. Because they are shallow-rooted plants, they adapt well to container growing. Lettuce: Incredibly easy to grow, lettuce is a top candidate for kitchen gardens, especially if you choose a cut-and-come-again lettuce blend. There are some fantastic seed blends with a wide range of leaf textures and colors and tastes that vary from bland to spicy. Herbs: The best chefs use fresh herbs. Join their ranks by planting your own food seasonings such as chives, basil, rosemary, parsley and thyme. Tomatoes: Be cautious when selecting tomato plants. If you have limited space, you will want to look for patio container varieties. These will stay a bit more contained than some of the bigger garden varieties. You can also grow tomato plants specifically for indoor growing, as they don't require bees to pollinate them. Although the pollen naturally drops from one flower to another, some growers suggest gently shaking your tomato plant to encourage pollination. Radishes: Their compact size and bursts of color make it a no brainer – it must be included in the kitchen garden! Dwarf Carrots: While your average carrot is too long for many containers, the more compact, ball-type carrots work well. These are some of the easiest to grow and most popular plants for a kitchen garden. Of course, you can grow many other things, but keep in mind that plants such as watermelon and squash need a lot of space! 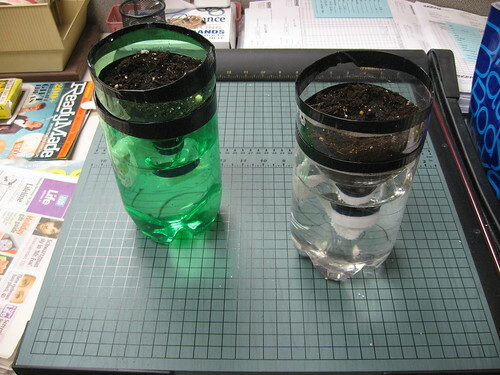 Once you have decided what to grow, it is time to get down to the business of finding containers in which to plant.